Step by step, I am planning the Old Mermaids Tour. This will be the Old Mermaids coming out party! I want to wander around the country and have Old Mermaids parties and Gifted ceremonies everywhere! I want to be a guest at Old Mermaid Sanctuaries all over the country. I want to help create Old Mermaid Sanctuaries. And I want all of you to be able to participate. So I'd like you to think about how you would like to be a part of this inspiring, fun tour. You'll have lots of opportunities. Let me outline some ideas. 1. You could be on the actual Old Mermaids Tour by inviting me to your home or your town. I'll talk about Church of the Old Mermaids at your house, the public library, or a local bookstore. I'm a good speaker. I can even do a talk on the Old Mermaids Mystery School or some kind of program for you or the library. My only caveat is that I need to be able to sell some copies of COTOM, since my purpose is to get this story out there! (And hopefully someone will offer me a place to sleep.) If you're willing to arrange something like this where you live, let me know. I can easily travel around the West, although I need to know that you can get enough people together for it to be feasible for me to come. We can create an inspiring community for a day or an evening—and hopefully you'll be inspired by what we do to carry these ideas forward after our time together. I have some incentives for you, so let me know if you're interested. 2. You can put together your own Old Mermaids party without me! I'm going to make up a little booklet or pdf for bookclubs, libraries, and anyone who wants to celebrate the Old Mermaids. I can be a part of this from a distance. I can answer any questions. 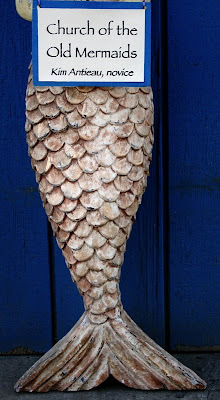 Help you with ideas to create your own Old Mermaid Sanctuary for your party. I'll do whatever I can to make your party a success. Again, I'll have incentives for you if you help sell copies of Church of the Old Mermaids. 3. You can create your own Old Mermaids Sanctuary after you read the book, take a photograph, and write to me and we'll put it up on this blog. 4. 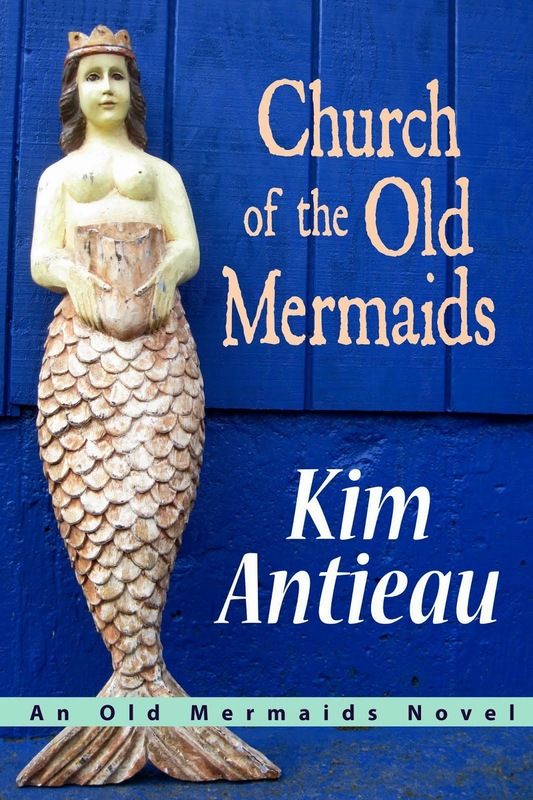 You can blog about Church of the Old Mermaids and you can recommend the book to your friends. Word of mouth is absolutely the best press for a novel. 5. Buy a book for yourself! Buy many for your friends. I'm trying to figure out how to do discounts for multiple purchases. I want to prove that good and beautiful novels can thrive without corporate publishers. I like the idea of these stories starting out small and slowly multiplying all around the country—and maybe the world, who knows. But for now. I just want to get the novel out into the world. 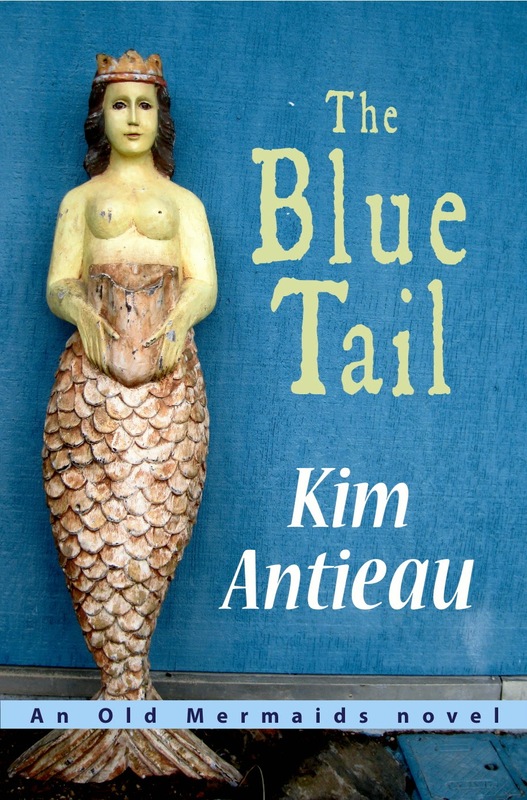 This novel and the story of the Old Mermaids and Myla and her work to save refugees out in the desert is beautiful and meaningful—and joyful and fun. Please join me for this adventure! I want to be with people who worship the ground they walk upon, people who talk to the trees, crows, and wildflowers—people who reach out in compassion to others every day. I want to celebrate with you and the Old Mermaids! So email me or comment with your contact info and your ideas and we'll see what we can get started! The novel should be on Amazon in the next few weeks. I'll let you know as soon as I do when you can order COTOM! By the way, the plan is to go around the West (at least the warm part of the West) in February. Back East in April. And around the PNW all year. i like your blog : ) keep moving on! Please come to Durham, NC! Joanna inspired me to download your novel and I was blown away! She's been nudging me to tell you so, but I haven't had a chance.. so here it is.. I LOVE THE OLD MERMAIDS!!!!!! Good for you, Sister Kim! I'm glad you are forming your own small press and publishing that magnificent book - I am now in the - let me see - ninth time reading COTOM, and I love it as much as ever - more even. Kim -- I've emailed you directly but will also add my voice here. Please come to Phoenix AZ. I'd be happy to help on this end. Your novel moved and touched me very powerfully, and I'd love to help bring it to others. Hellllloooooo all! I will write soon. I promise. I'm so excited to talk with you all. I'm glad you've all written to me. Beth Owl's Daughter--I'm so glad you wrote and told me!!! It means a lot to me. I love the idea of going to NC. Robert, I will email you soon. And the rest of you, I will write soon. Things are definitely percolating. I'll be there, Joanna! Hi, airyella; I'm so glad you like the Old Mermaids. This website/blog here is dedicated to the Old Mermaids!